Don't worry, it will all work out. 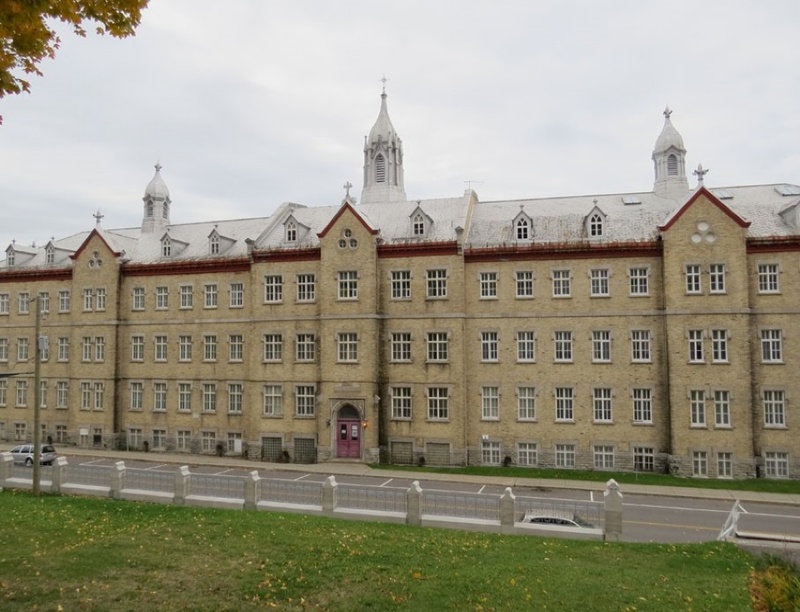 This is your first teaching job, a private boarding school in a small-town East of Quebec City along the St. Lawrence River. The school sits next to a famous Basilica of the same name. The Basilica is known by the Catholic church to heal the sick and the disabled. When you walk into the Basilica, the large vertical pillars are covered in hundreds of crutches belonging to people who claim they were miraculously saved. Pilgrims flock by the thousands each year hoping for a miracle. It is quite impressive. I know that you do not believe in miracles and these first two weeks in your new school are far from a miracle. The location is quite picturesque. You're in the countryside. The air is fresh and cool. The road where you park divides the Basilica and the school from the hillside. On the hill, life-size sculptures depicting Jesus on the day of his crucifixion recount the fourteen stations of the cross. You look at that hill every day, see Jesus climbing the hill with the cross on his back, park your car and get out into the cool breeze of the early morning, walk into the old three-story building behind the Basilica and down the resonating halls to your art class. Without realizing it, you are also walking with a heavy weight on your shoulders. Every day, you enter into that old building thinking "Today will be a better day." You have to understand it is not personal. The students have already pushed the previous teacher to the brink. She had to go on sick leave. In their minds, you are next in line. They are playing a malicious game. Also, remember in some way these children have been left behind. The bell rings and they do not run out of the classroom. They are boarders. They are not going home. At least, you can go home. Escape. When you get back into your car and drive back to Quebec City, tears fill your eyes. You are crying again. Once you realize that it is not about you, you will feel much better. Once you allow them to get it all out of their systems they will calm down and get bored of playing the game. This difficult passage is part of your journey as an educator. Sometimes you have to suffer to learn in life. Many years later, this experience will be one that you look back at your whole career. It will be the experience which shapes you. I know it is very challenging, but you will eventually figure it out. You are meant to be a teacher. You will become the teacher you always knew you could be. You will eventually discover the true meaning of becoming a teacher and you will discover the politics of education. While looking back at my first experience as a teacher, I researched the school and the Basilica. I was astounded to discover that nine priests from this school were charged for sexual abuse in 2011. The abuse occurred from 1960 to 1987 when the school was an all-boy boarding school. At least 70 boys were molested. When I worked there, it had been a co-ed school for several years. The vice-principal, the spiritual animator and several other staff members were priests.